Stripgenerator.com - Hats for Friends! Of course the characters are from Stiltsen and Paco_de_pinda's libraries. 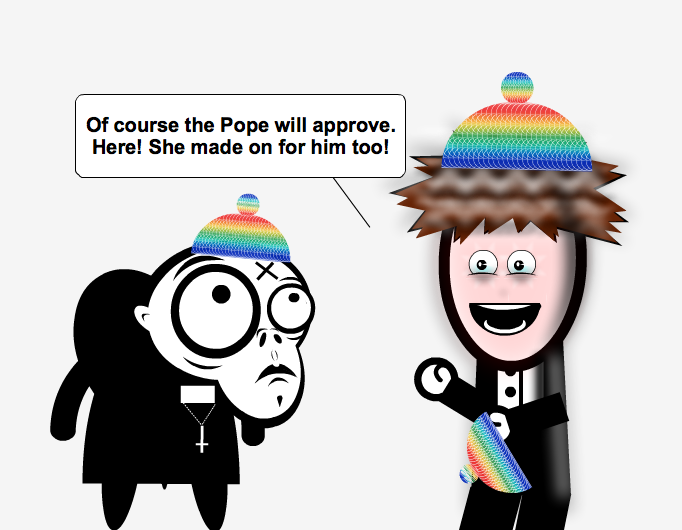 Of course the Pope will approve. Here! She made on for him too! ehehehe where can I get one?